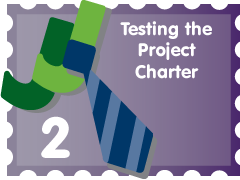 The second week of the JuniorBiz Project Charter has come to an end. This week was just as busy as the previous, and I didn’t mind at all! Again, my 5 objectives are to finish the guide, increase traffic, boost my online presence, add content, and expand the local awareness of JuniorBiz. JuniorBiz and I don’t go back very far but our relationship has become unnaturally deep. A lot has happened over the last year, so let me catch you up. However, prior to JuniorBiz becoming a daily ritual in my life, I was a teen entrepreneur myself.